I love mason jars! They are so handy and sturdy. Open my cupboard, and you will see mason jars used for drinking glasses and storing bulk foods, as well as canned items. Here are 5 mason jar hacks that will help you use your jars for more than just canning. 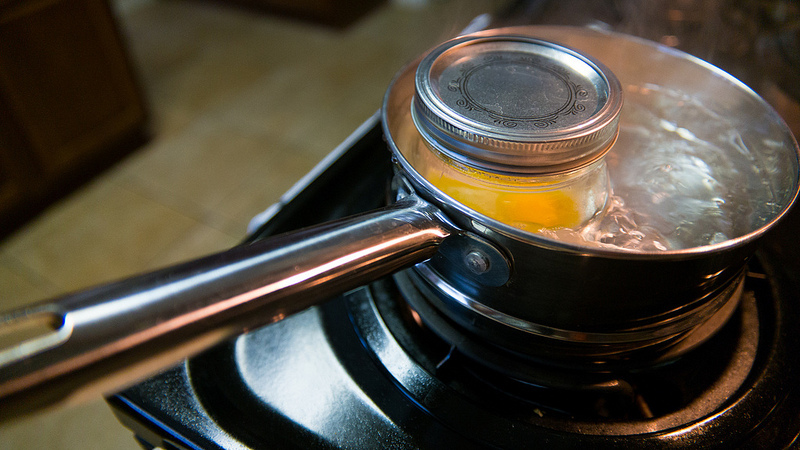 Mason Jar Hacks #1: Cook eggs! Likewise, you can poach/coddle an egg by cooking it in a mason jar. You have probably seen in catalogs cute sconces made from mason jars. The rustic charm and sturdy quality of mason jars creates a unique lighting experience both inside and out. 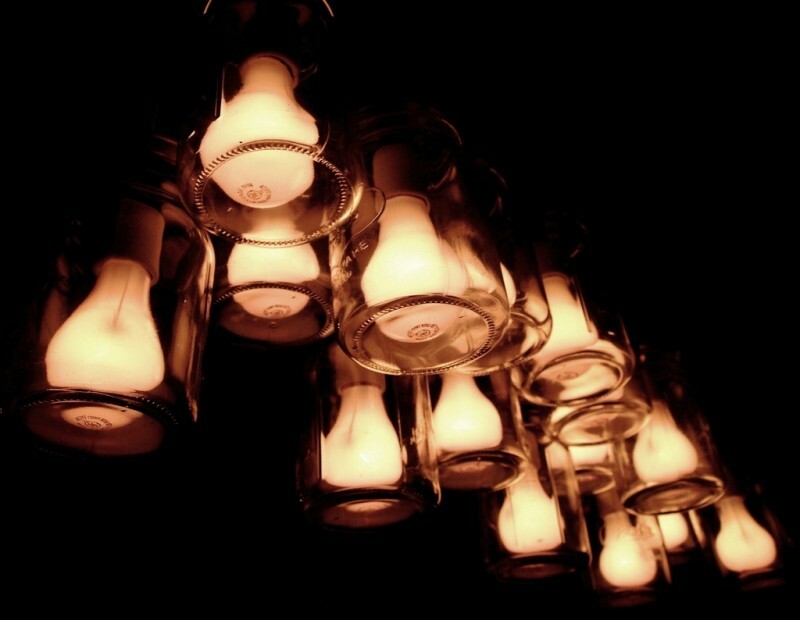 You can even dress up old chandeliers found at thrift stores with mason jars. The simplest way to make mason jar light is to drop an LED tea light into the jar and hang outside. This is a great way to light up your yard when having a party. To make your own mason jar light, you need to buy a pendant light kit from a hardware store. You will also need a drill or hammer and nails. There are many versions online and lots of ideas. I really like this one on Woonblog (the directions are in German). Mason Jar Hacks #3: Single serve smoothies! Depending on the kind of blender you have, you can screw the chopping blades straight onto a mason jar! This is an amazing way to make a single serve sized smoothie and avoid the plastic blender container. Make sure you leave room in the jar when filling it up with yummy ingredients. My favorite smoothie recipe is to combine almonds, almond butter, chia seeds, coconut, almond milk, and vanilla in a jar. Yum! 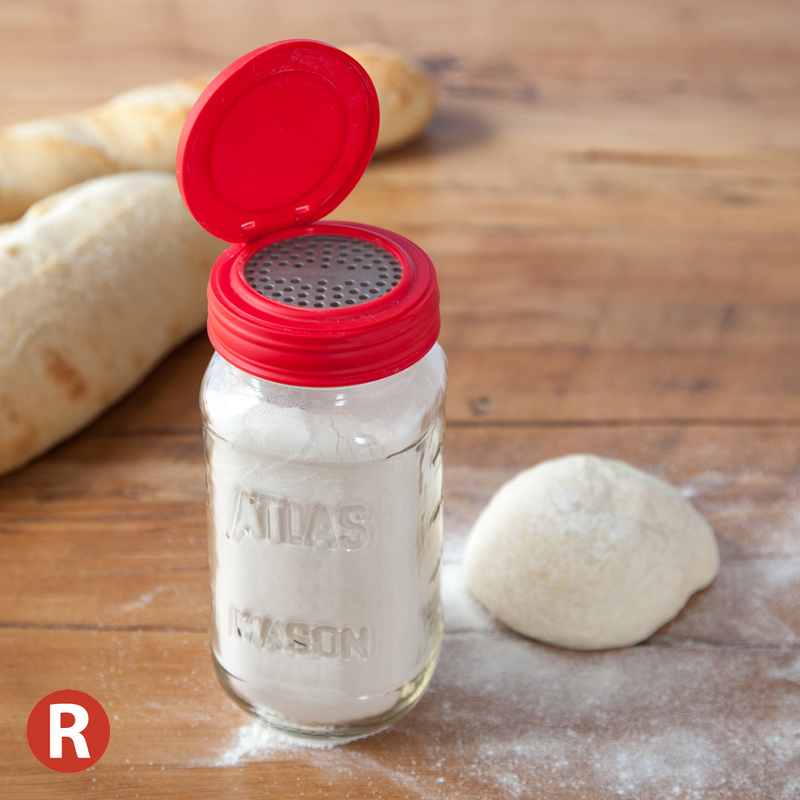 ” target=”_blank”>screen accessories, you can choose the size of your holes and turn any mason jar into a shaker for your bulk herbs and spices. Goodbye disorganized pile of little plastic baggies! The accessories for the flip cap even comes with a counter ring you can track contents. No more mystery bulk spices! These lids are made in the USA and are BPA-free and phthalate-free. 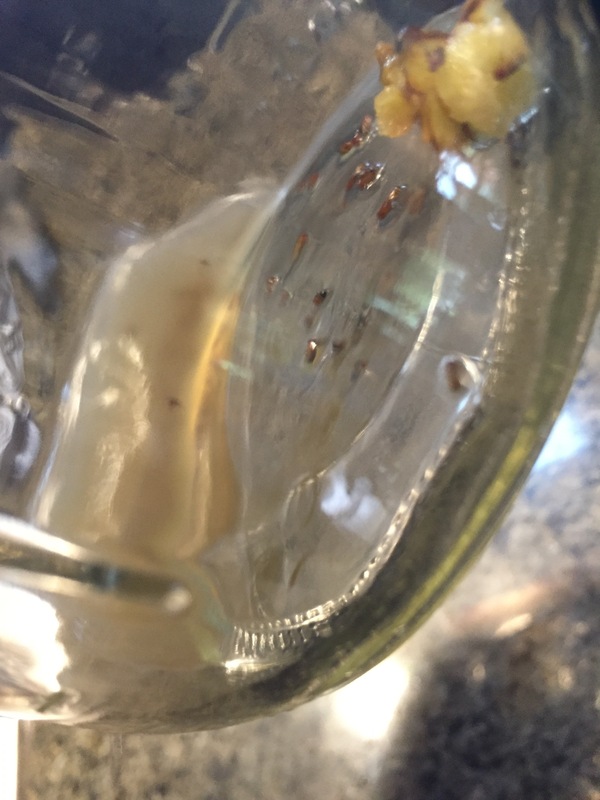 Last fall, we were inundated with fruit flies. I purchased a few fruit fly traps, but they didn’t work as well as one my friend suggested we make from a mason jar. I was amazed at how well this mason jar hack worked! Mason Jar Hacks #5: Make PIE! The has to be the best mason jar hack of them all! Did you know you can make pie in a mason jar? It’s super simple, especially since you don’t have to roll out the dough. Simply press pie crust dough into the bottom and sides of the jar, fill with your favorite filling, then press a small piece of crust on top. Don’t forget to vent the crust before baking. Bake for 35-40 minutes at 375 degrees F. Here are some complete and slightly more complicated instructions for mason jar pie. « Avoid artificial food dyes & big news from Mars!